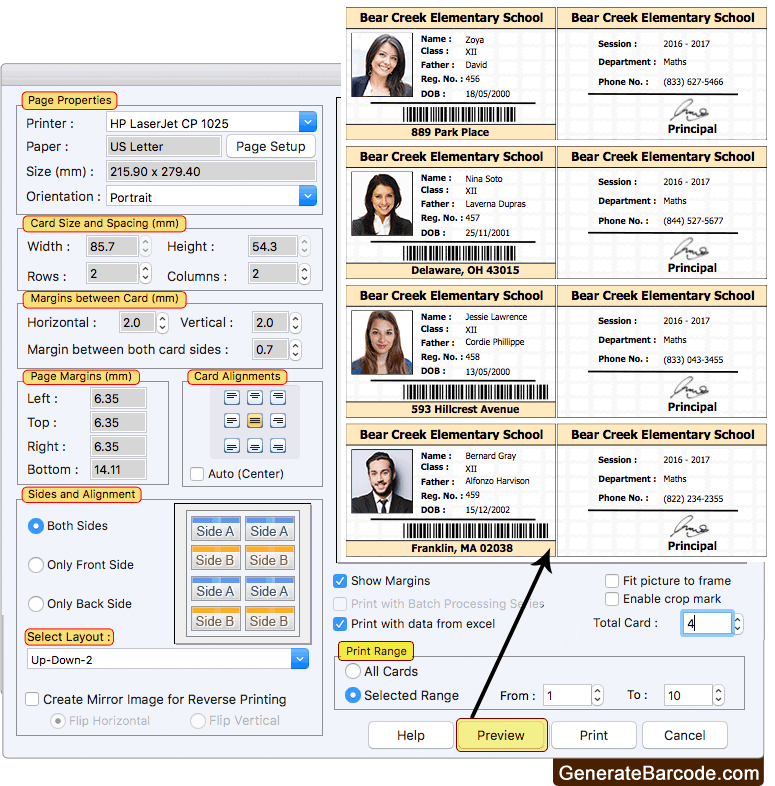 Select any mode for designing Student ID Card. 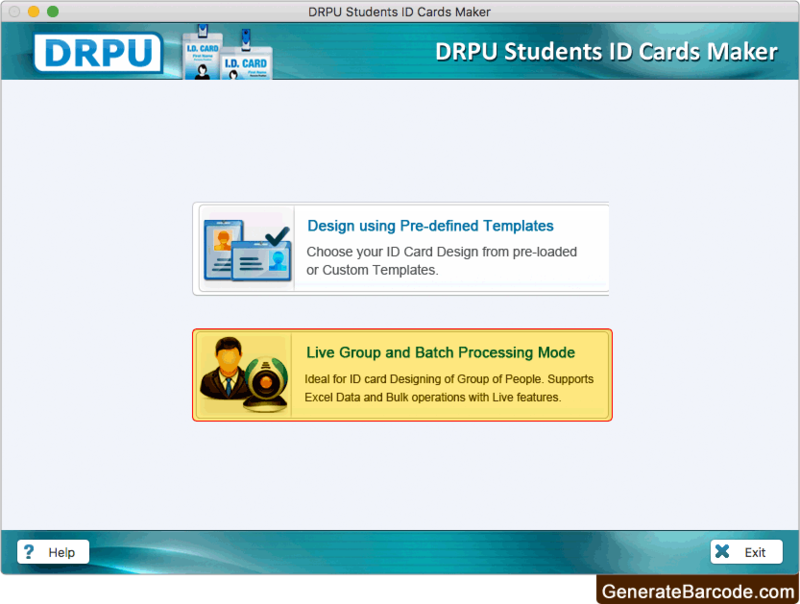 Here we have selected 'Live Group and Batch Processing Mode' for demonstration purpose. Choose pre-defined template and proceed to 'Next' button. To add details on ID Card, Go to 'Save Detail' and select any particular entry which you want to add on your ID card. 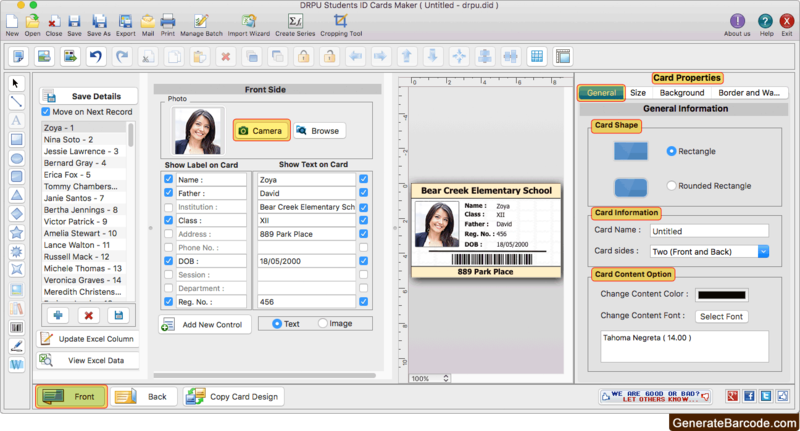 To print your designed ID card, set all print settings and Click on 'Print button'. You can also see the preview of designed student ID card using 'Preview' option.